Two years ago when we adopted Wenxin from China, he was a 7 1/2 year old who'd had no formal schooling. He could speak Chinese, but couldn't read or write it. He didn't speak a word of English and couldn't tell an "A" from a "Z". To top it off, he was 100% boy with boundless energy and zero tolerance for anything involving pencil, paper, or books. 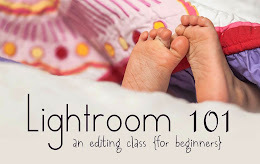 Homeschooling allowed me the wiggle room to relax about all this; to spend our first months focusing on bonding and learning to live together as a family; to put away the English flash cards unless we were using them in a really fun game. In the process of normal life with a mom and dad and three English speaking siblings, Wenxin quickly became an English speaker himself. We spent our first year playing with the language in preparation for learning to read. I taught Wenxin the English alphabet and a sound for each letter using an alphabet puzzle and fridge magnets. We played rhyming games. We sang songs. We drew pictures together which I labeled with words. And I read aloud. Every day. For long periods of time. Reading aloud to my kids is my favorite part of homeschooling. We do it every day. I start as the kids eat a morning snack, and when they finish eating, they do something quiet with their hands as they listen -- coloring, play-doh, or even quiet building with Legos. Last year, I read good children's literature aloud to the kids -- chapter books that were often way beyond Wenxin's language ability. I didn't really care if he was understanding every word or even any of the words for that matter. Does a baby understand all the words swirling around him at first? Of course not. But just like a baby, Wenxin was soaking in the sound and cadence of the language. And before long, I realized his comprehension was exceeding my wildest expectations. I believe that reading aloud to him has been the most important thing I've done in helping him become literate in English. Today he speaks English fluently and is on his way to becoming a fluent reader. Below are some of the tools I'm using as I continue to teach Wenxin to read this year. 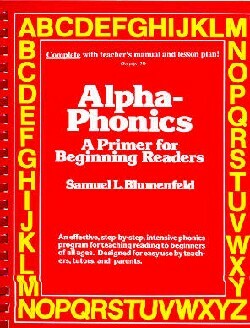 Alpha-Phonics - This is my favorite phonics program. It's a simple, non-consumable book that I've used to teach all my kids to read. Once your child recognizes the letters of the alphabet and learns their common sounds, he can begin to work through Alpha-Phonics. Providing tons of practice blending sounds into words, this book will have your child reading simple sentences the first week. There's not a single illustration in the entire book, so it eliminates the temptation to just guess from the pictures. Reading exercises - that's what I call this book. We do a little bit each day. Just like the drills Wenxin does at soccer train his feet to automatically respond in the game, our daily reading exercises train his brain to automatically decode written words as he reads. Explode the Code - Most beginning phonics workbooks scream preschool. I needed to find a phonics workbook for Wenxin that looked cool enough for a 9 year old boy. The Explode the Code series fits the bill. 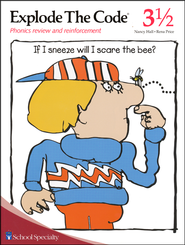 The illustrations are a little edgier (see the cover), and the sentences are often funny. I bought a stack of these inexpensive workbooks at the homeschool convention, and Wenxin does 2-4 pages a day. 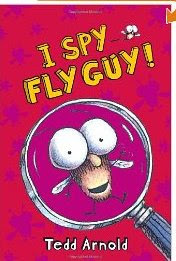 Fly Guy series - These are our favorite easy readers about a boy named Buzz and his pet fly, Fly Guy. Funny enough to get some laughs from the teacher, this series was definitely written with boy readers in mind. At this stage, it's essential to listen to kids read aloud, but many beginning readers are nursery-rhymish and just plain lame. Fly Guy is way cooler, making reading aloud almost painless for nine year old boys and their moms. Sight-Word Bingo - English is full of words that break the rules (sight-words) and other words that occur so often you shouldn't have to stop and sound them out every time (high frequency words). To become a fluent reader, there are a lot of words a child must learn to recognize by sight. 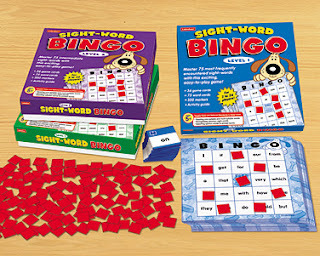 In addition to teaching sight words with flash cards, last year I purchased this sight-word bingo game to sneak in some extra practice. My super competitive kids all love WINNING at bingo, so I don't have to twist arms to get anyone to join Wenxin in a game. Saxon Math 5/4 - Here's perhaps the strangest item to make the list: Wenxin's math book, Saxon 5/4. Let me explain. Wenxin is very good at math. For the last two years, I've taught him using the Saxon Math homeschool curriculum. It's a very solid, challenging math curriculum, and Wenxin has done well with it. Saxon, however, is very language heavy. Lots of word problems = lots of reading = Wenxin couldn't do it independently = I had to sit with him the whole time he did his math practice = shoot me in the head; I'm exhausted. This year I initially decided to switch to a computer based curriculum so that the computer could read his math problems to him. Problem solved. I had visions of actually getting other things done while a computer talked Wenxin through the math lesson. But then, I met Cheryl Bastian, a teacher and home educator who evaluated Wenxin's homeschool portfolio from last year. When I mentioned the new math curriculum, Cheryl said, "That's a mistake." She encouraged me to keep him in Saxon, the more challenging program, mentioning that perhaps this strong area (math) might be used to pull up his weak area (reading). And you know what? That's exactly what's happening. While we're doing math, Wenxin sits a little straighter. He feels competent. And I've noticed that while he's feeling competent because we're working in one of his strongest subjects, he's more willing to take a stab at reading those problems for himself. His ability to read the math book is growing by leaps and bounds. Who would've guessed? Reading practice in a math book. Fridge Word Magnets - And finally, while the front of my fridge will never make a magazine cover, cluttered with these tiny word magnets, it's a fun place to play with the English language. Whenever inspiration strikes, we take turns coming up with the silliest sentences we can imagine. For Wenxin, this is another fun way to sneak in a little reading practice. "Funny" is always good when teaching kids. "Funny" makes things stick. "Funny" makes learning hard stuff much more enjoyable. I have a theory that laughter aids retention in learning. I wonder if there's been any research on this? In my experience, teaching kids to read is like pushing a giant boulder up a mountain. There are so many skills that have to be in place, including many we take for granted, before they can even begin the complicated process of decoding words. It's hard work, and progress seems slow. But at some point, you push the boulder over the top, and things really start moving. I think we're cresting that hill. Welcome to everyone visiting today from Mercy Ink's Heart and Home Link-up Tuesdays and from 1001 Tears Adoption Blog Hop. 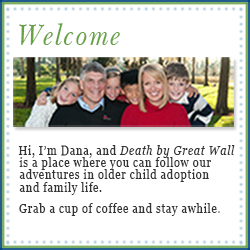 I hope you find encouragement here at Death by Great Wall. Confused by the name? Click the About tab at the top of the page for the rest of the story. . .
For all of you regulars, click the buttons below to visit these blog parties. Don't forget to link to your own blog as well! Wenxin loves his siblings -- I'm sure of it. But like most boys, he's more likely to stick a note that says "kick me" on his sister's back than give her a hug. And he's more likely to try out a new joke on a sibling than say, "I love you." Actually say, "I love you?" It's taken a good two years for Wenxin to develop a sense of security in our family -- to get to a place where there's even a chance he might display a little love for the other kids. Is it really possible for a kid to show love to his siblings, if he feels threatened by them? If he's not really sure deep down in his heart that Mom and Dad's love for him is just as strong as their love for THEM? I'm not saying we've arrived or that Wenxin (or any one of the other kids for that matter) feels 100% secure in our love, but something happened around the time of Julia's birthday that filled me with hope. Wenxin decided to get her a present. In our family, I usually buy one present for the birthday child and say it's from the whole family. But in recent years, from time to time, one of the kids will decide to give a personal gift to the birthday child. I don't insist on it, and it's usually never fair -- one kid may get more gifts on his birthday than the others -- but I don't worry about that too much. For example, Nathan scored big getting $50 in cash from his siblings last birthday. Both Julia and Katherine gave him $20 bills and Wenxin offered $10. Unfortunately for them, Nathan didn't return the favor -- at least not to the same degree -- when their birthdays rolled around. Oh well, some of us are more generous than others, and I feel if I get involved and try to force things so that everything is fair and equal, the gifts lose their meaning. Well, the week before Julia's birthday, Wenxin began to remind me daily that he needed to go shopping. I reminded him that I'd be getting Julia a nice present, but he insisted that he wanted to buy something "just from him." Armed with a twenty dollar bill, we went to Target where he spent $13 buying her some "Littlest Pet Shop" animals and a bottle of white "crackle" nail polish. Delighted to have money left over, Wenxin chose some candy for himself on our way out. Side note: I love watching Wenxin decide what to do with "his" money -- a luxury he didn't have two years ago. The night before her birthday, I helped him wrap, and a little while later, I noticed him busily making a card. That yellow pocket tape on the side is where he slipped a little more cash, just so Julia would be sure to know she is loved. He really loves her. And. . . He's finally secure enough to admit it. Most Sundays at my church, we close the service by standing and singing the following words. As you are loved, so love. As you are blessed, so bless. Brings tears to my eyes every time. What signs have you seen that indicate your adopted kids are developing a more secure attachment? Leave a comment to share! Last month, Wenxin took some birthday money he'd been hanging onto for about 9 months and purchased something he'd been thinking about for a while -- a yo yo. With each new trick he learns, he struts a little more as he calls out, "Hey mom, watch this!" Kids in state care miss so much. Stuff that's so normal we take it for granted. Like the opportunity to show off for Mom and Dad. Think about it. Babies quickly become natural performers as their parents ooh and aah and applaud each new accomplishment. First smiles, first words, first steps -- all recorded in photos and usually on video too, then posted on Facebook for the world to see. Who does the orphanage baby smile for? One more little thing that's really a big thing. Something our older adopted kids may have missed. So if you see me or Mike drop everything to ooh and aah and show our total amazement over something Wenxin has learned, please know we're not spoiling him. We're giving him something he missed out on for a long time. "Hey Mom, watch this!" Music to my ears. There's more than one way to show off! Anna is hilarious and zany, keeping us busy and laughing at the same time. We are blessed to have these moments of comic relief with her – parts of her little personality untouched from neglect and emotional abandonment. But like most three year olds, her disposition can change at the drop of a hat, because of normal three-year-old frustrations and fears. Add to that Anna’s confusion of living with six different families during her second year of life. 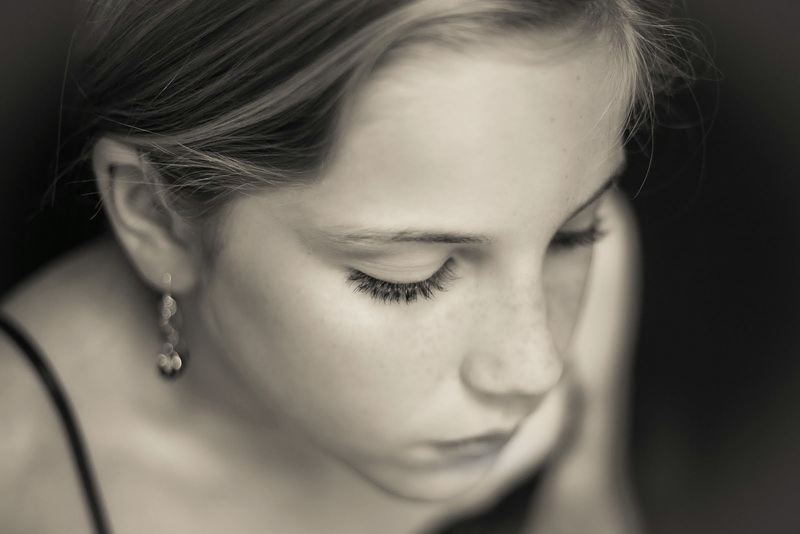 And the fear of waking up in yet another new household, where they have new rules, new smells, new ways of doing things, new words, new clothes, new sleeping quarters… I was constantly asking myself what she had been through and how I could make the transition into a new family easier for her. It was becoming obvious to me that I would never know, and Anna would never be able to verbalize her past in words, though. Her silent cries for stability, for routine, for extra nurturing (and a few meltdowns) led me to inquire of Dana. I seemed to remember something about meltdowns, unspoken needs and the ambiguity of it all in one of her posts. She suggested a book entitled The Connected Child: Bring hope and healing to your adoptive family by Karyn Purvis, David Cross and Wendy Sunshine, which I purchased immediately on Amazon.com. I was desperate for answers. In retrospect, it all makes sense. The indiscriminate talking to strangers; the panic and ensuing tantrums if she was not allowed to drink milk all day, for every meal; the fear of being strapped in a car seat; the waking up all night to see if she was still in the same household. At first it was quite confusing to me, though. After reading The Connected Child, I now understand that she may wake up in the middle of the night because she may be hyper vigilant, feeling the need to monitor her circumstances more than a normal child. I now understand that she may reach out to strangers more than a normal child because she may have found the adults in her younger years unreliable. She has learned this as a survival technique to get her needs met. The example dialogues were especially appealing and helpful to me, perhaps because I am more of a visual and kinesthetic learner. 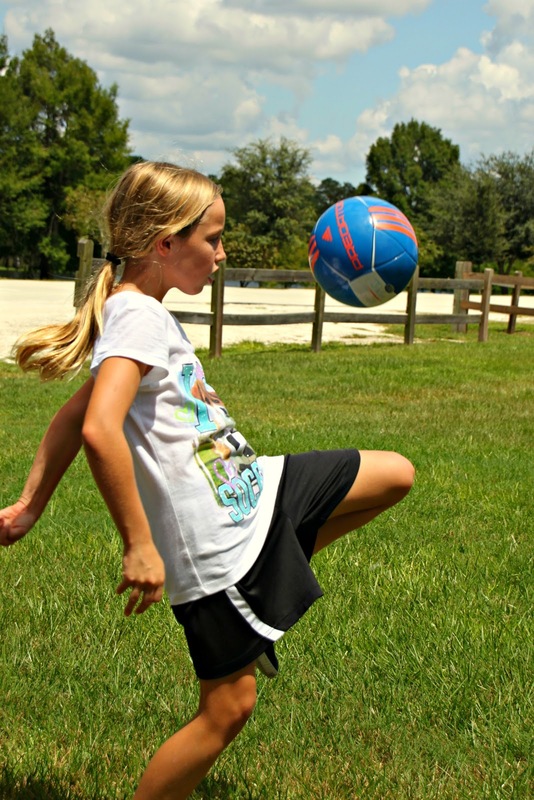 There is an emphasis on playful dialogue that is non-threatening to an at-risk child, but the book also gives techniques to help correct unhealthy behavior – a hard balance to find. This is very important to a child that may be overly sensitive to corrective words because they are not yet secure in their family relationships. The scripts for dealing with anticipated challenging social situations were also very helpful. You know, those situations in public where you look absolutely ridiculous because you have absolutely no control over your child or the situation. One of the best things about the book, though, is that it did not promote miracle fixes. I didn’t feel overwhelmed while reading it. I felt the book encouraged me to view our circumstances as a learning process – for me, as well as for Anna. Although you look back at the road that brought your adopted or foster child to you with satisfaction, knowing they have been rescued from a bad situation, your child may not feel rescued yet. The Connected Child illustrated for me ways to help Anna feel safe. I am thankful I was desperate enough to ask for help and had a friend introduce me to this book. I love that Anna is outgoing and friendly, but I do hope that one day she is this way simply because she wants to be and not because she fears her needs won’t be met. I see lots of signs that she is learning healthier patterns and is attaching in healthy ways. Thanks, Laura, for taking the time to review The Connected Child for us. Anna is a beautiful child, and I'm so happy she has a sensitive, resourceful, mom like you!